Lemon Blueberry Cream Cake - a winning flavour combo for any occasion! Lemon Blueberry Cream Cake. Start with a lemon version of our homemade butter cake, then fill with layers of blueberry compote and vanilla whipped cream. A delightful dessert cake for any occasion. This Lemon Blueberry Cream Cake presents a great flavour combination in a beautifully impressive dessert cake. It starts with a lemon version of our delicious butter cake filled with a freshly made blueberry compote and vanilla whipped cream. What an exceptional dessert this one would make at a dinner party or any celebratory occasion. 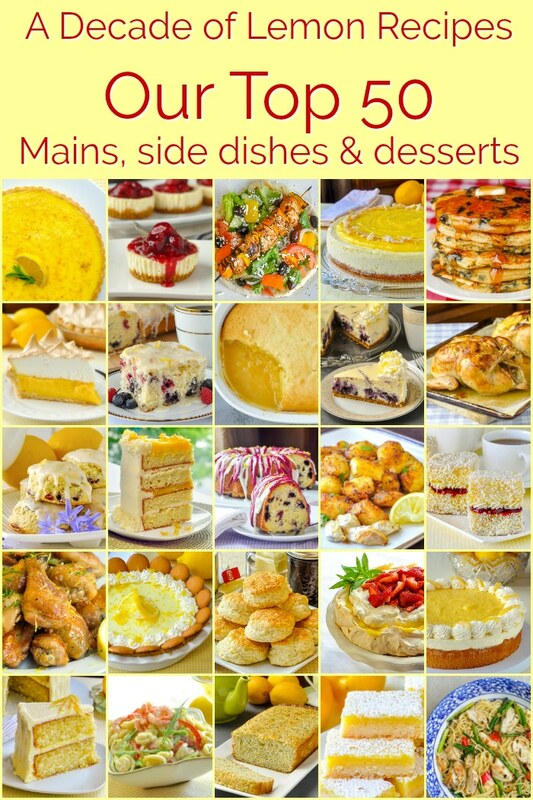 You’ll find plenty more delicious ideas in our Cakes and Pies Category and even more in our Desserts Category. 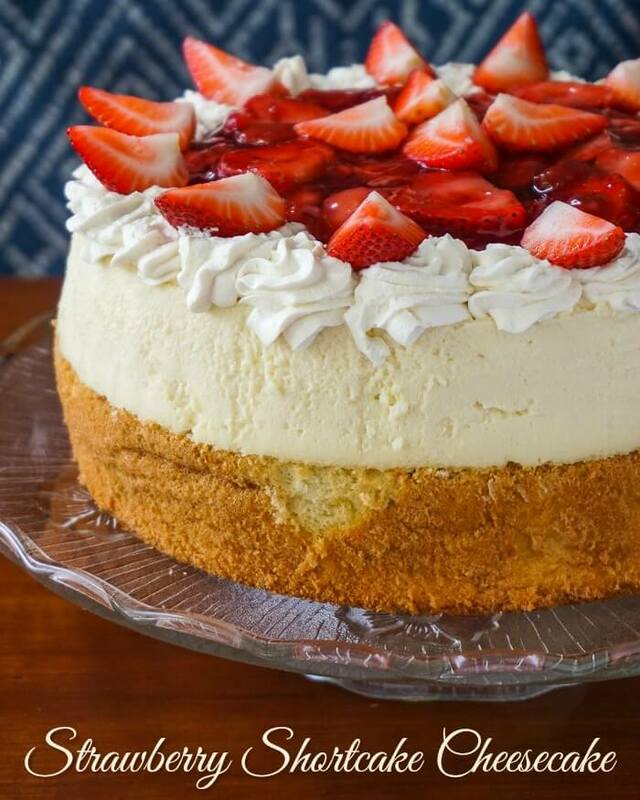 You might also like or recipe for Strawberry Shortcake Cheesecake. Lemon Blueberry Cream Cake - part with a lemon version of our homemade butter cake, then fill with layers of blueberry compote and vanilla whipped cream. A delightful dessert cake for any occasion. Grease and flour two 9 inch cake pans. Smaller pans will not be sufficiently large. If you are using smaller pans reduce the measurements by 1/4. Cream together the butter and sugar very well until light and fluffy. Add the eggs, one at a time, beating well after each addition until light and fluffy. Mix in the vanilla extract and lemon zest. Fold dry ingredients into the creamed mixture alternately with the warm mixture of milk and whipping cream, beginning and ending with the dry ingredients. I warm the cream and milk in the microwave for a 15 -20 seconds. I add the dry ingredients in 3 portions and the milk/cream in 2 portions. Bake at 325 degrees F for about 35- 40 minutes. Rely on the toothpick test to ensure that it is properly baked. Wehn a wooden toothpick, inserted into the center, comes out clean, it's done. Let the cake cool for 10- 15 minutes before turning out of the pans and cooling completely on a wire rack. Simmer the blueberries, sugar and 1/2 cup water very gently together for about 10 minutes. Dissolve the corn starch in the 1/4 cup cold water to make a slurry. Add a little of the slurry to the pot at a time, stirring constantly. Add only enough of the slurry to thicken the slurry to a pudding-like consistency. The juice content of the berries will determine how much thickening the compote will require so use your own judgement on when you have added enough of the slurry. Continue to simmer stirring constantly for an additional minute to ensure the compote does not maintain a starchy taste from the slurry. Cool to room temperature then completely chill the compote in the fridge. Whip the cream,vanilla and icing sugar together at high speed until stiff peaks form. If you don't have a piping bag for the whipped cream, you can still make quite a pretty cake by using a large Ziploc bag with about a 1/2 inch opening snipped off the corner. Split the two layers horizontally into four layers. Place the first layer on the serving plate, cover with whipped cream and add the second layer. Pipe a 1 inch border of whipped cream around the entire edge of this layer. Fill the inside of the circle with half of the blueberry compote before adding the next layer of cake and covering with more whipped cream. Add the final layer of cake and cover the sides of the cake with whipped cream. Pipe a border of whipped cream on the top of the cake and fill the center with the remaining blueberry compote. Garnish with pieces of candied lemon zest if you like which can be made very simply by removing the zest with a sharp vegetable peeler and simmering gently in a small pot with 1/2 cup water and 1/2 cup sugar for about 15 minutes. How long can this cake be kept outside … Seeing that it’s covered in whipped cream? Hi Barry. 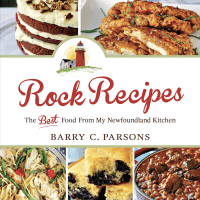 Use your recipes often and very much enjoy. This one I didn’t have as much success with. I followed the recipe as given with exception of adding some sweetened coconut to the cake batter. The cake was dry & I think it was because of baking time/temperature. At 325°, the cake was not baked in 40 minutes. It took an additional 10 minutes before toothpick came out clean. Assembled nicely & was very tasty but dry. Wondering if addition of coconut was the problem or perhaps baking at 350° would work better ? Coconut added to a cake batter will absorb a lot of moisture. You have to compensate for that for sure.